Another interesting data-tier application export exception: FillFactor is not supported when used as part of a data package. Then, one-by-one, bring up the designer for each table that has an offending index. 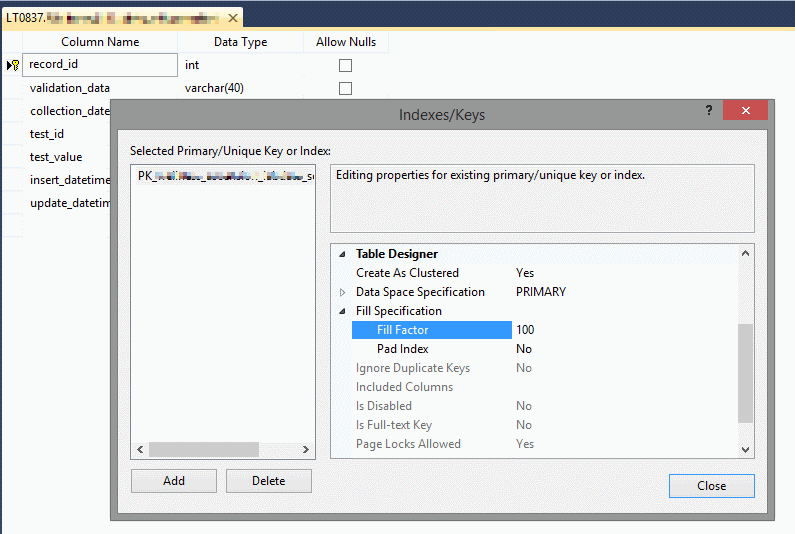 Right-click the designer and bring up the Indexes/Keys… dialog. Find the offending index, then change its Fill Specification -> Fill Factor property to 0. Close the dialog and save the table.